One of my favourite summer time breakfasts is crunchy granola clusters with plant milk or yogurt and fresh seasonal fruit but for some reason or another I haven’t got around to making granola for a while and I’ve been fixated on this stove top muesli instead. To be honest I think it’s just a case of laziness on my part. Not that granola is all that laboursome mind you, but this stove top muesli can be whipped up in minutes and I don’t have to turn the oven on or dirty any bowls. I barely have to wash the pan afterward. I can prepare a few days worth at a time and it’s a great way to incorporate protein, fiber and healthy fats into my morning meal. Toasting the rolled grains makes them fragrant and crispy and you end up with a cross between muesli and granola. 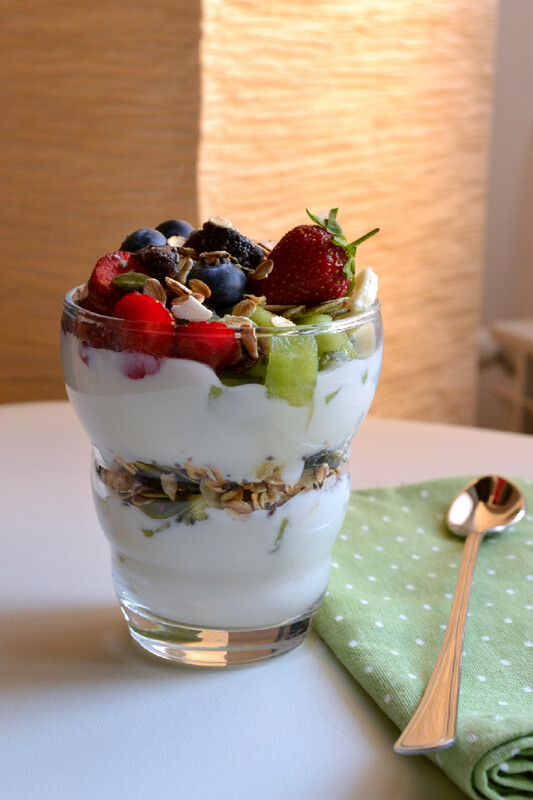 It doesn’t get as soggy as muesli when added to milk or yogurt (I’m not a huge fan of soggy) and it’s a little healthier and more earthy than granola since it doesn’t contain any added fats, oils or sugars. It’s simply dry toasted rolled grain with nuts, seeds, and dried fruits. Add rolled grain to a dry pan over medium heat and toast until fragrant, stirring frequently. Add pumpkin and sunflower seeds and let them toast a minute or two until they start popping. Add in flax seeds in the last few seconds, they will start to pop immediately. Remove from heat and stir in spices, chia seeds and nuts. Let cool slightly before mixing in the dried fruits. Serve with your favourite plant milk, yogurt and fresh seasonal fruit in a bowl or layer it like I did here to create a parfait. Store unused portion in a glass jar in the party or refrigerator for up to 5 days. 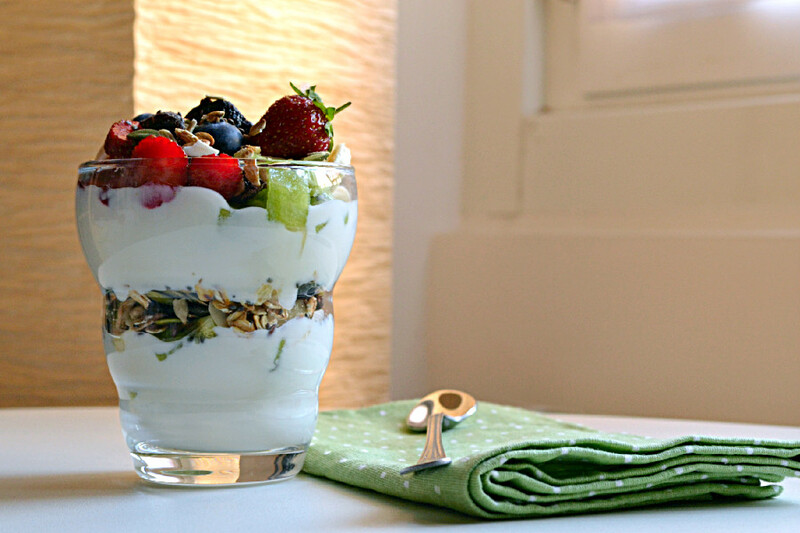 Sounds delicious ❤ Yogurt + berries are one of my favorite breakfasts. 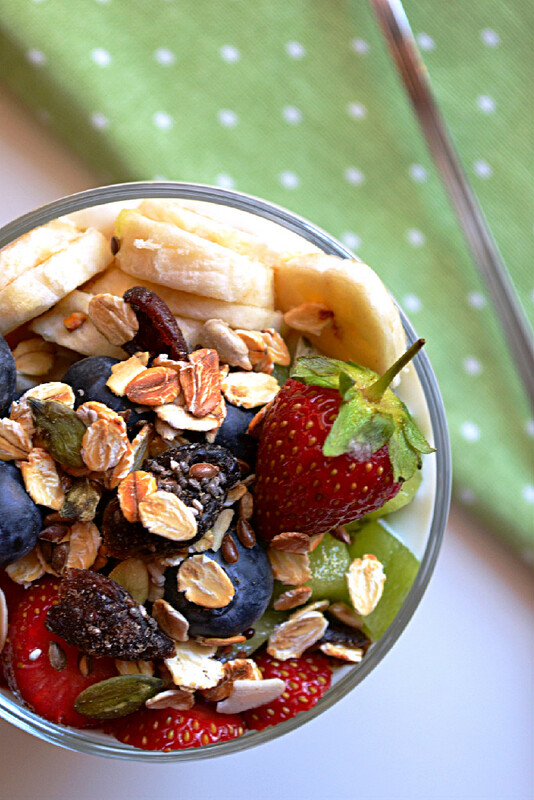 The toasted granola sounds amazing.